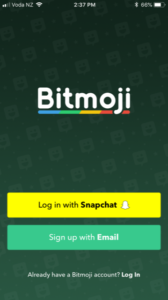 Login using Email or Snapchat. 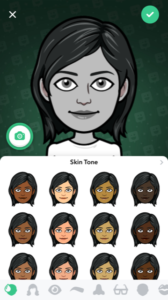 Go through the next screens selecting things like skin tone, hair style, eye colour, brows, face shape, clothing etc. 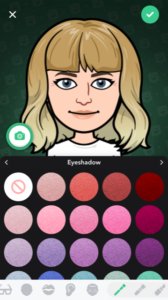 Voilà – Save your character or go back and change outfits or previous selected options. 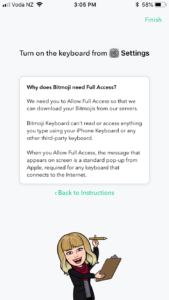 You’ll now have a library of your character emjois. 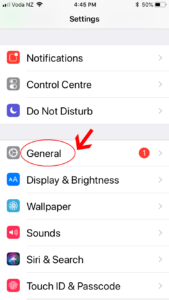 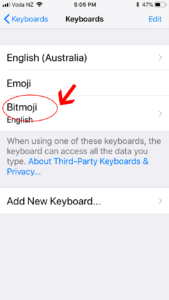 To use the emojis on your phone you’ll need to enable this in your phone’s settings first. 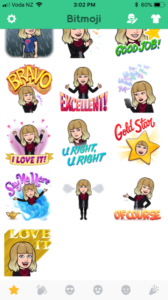 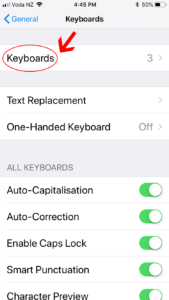 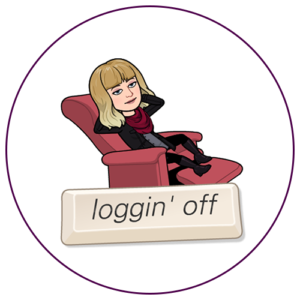 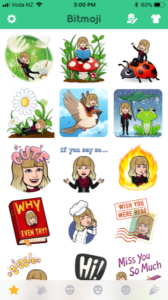 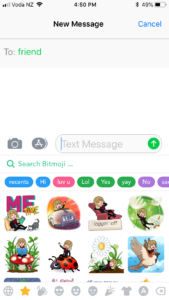 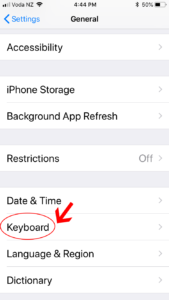 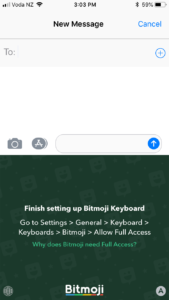 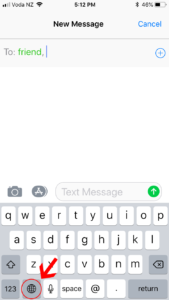 To use in a text message, create a new text message and when you want to insert an emoji, tap the emoji symbol button on your keyboard and then I had to tap the alphabet symbol to bring up the bitmoji emojis. 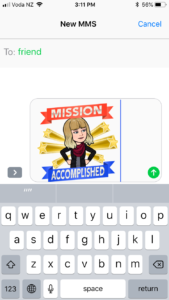 Once you have the one you want, tap to copy it and then paste it into your message and send. 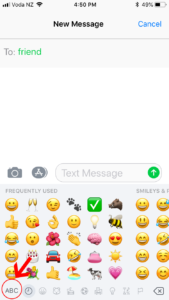 (You can also search the emojis by phrase). 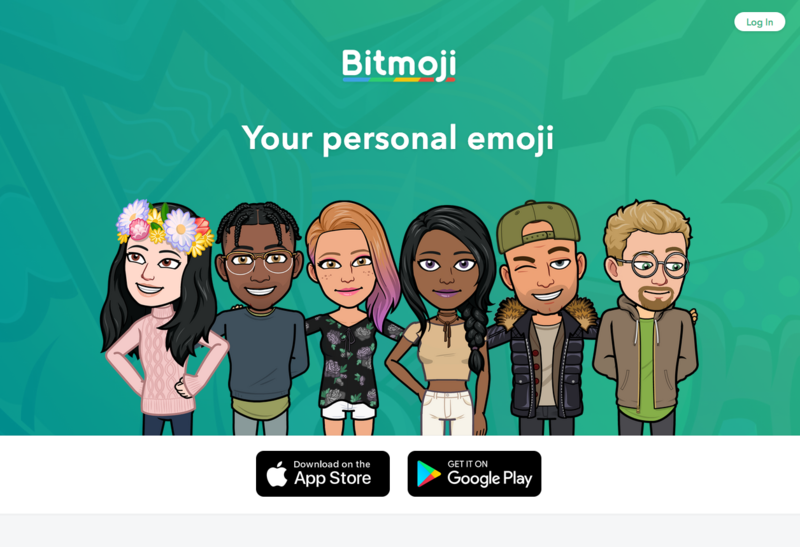 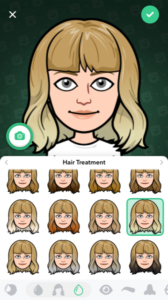 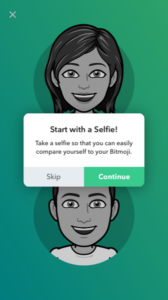 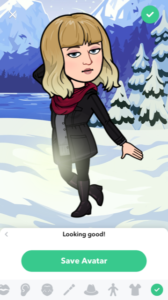 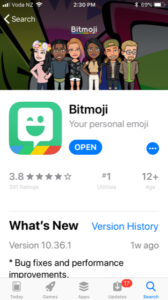 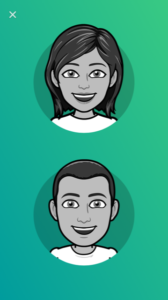 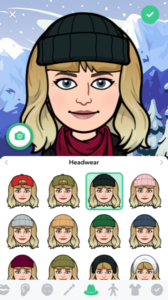 You can also tap an image straight from the Bitmoji app on your phone and send as email, text, snapchat.